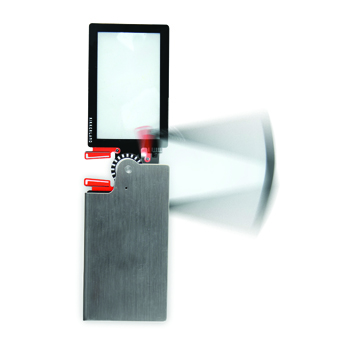 Believe it or not, but the designer of this item actually uses this magnifier to light his smoke. He says it has helped him to slow down his habit because there are not that many sunny days in Paris. The very flat lens, also called a Fresnel Lens magnifies up to 2.5. Probably best used for tiny print. Really, it is a cool little object.